The OMTA brochure gives a brief overview of our organization and the benefits for members and students. 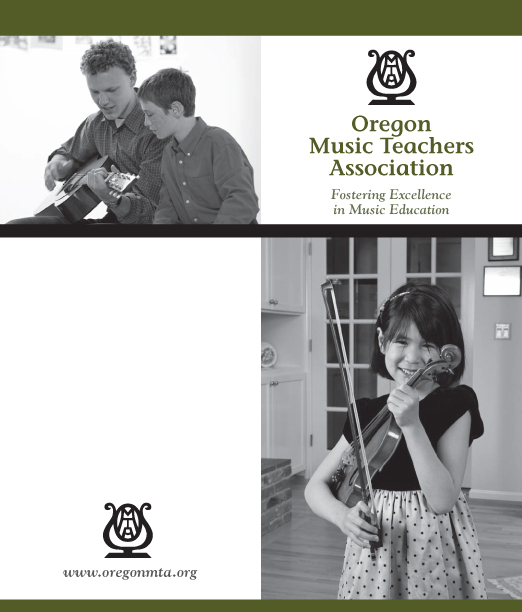 It is useful for handing out to students, prospective members, or anyone interested in OMTA. Brochures are available without charge to district presidents or district membership chairs for official use only. Brochures can be purchased for your studio on the Teaching Aids page.